When on the road to recovery after a hospital stay or during your rehabilitation care, we hope you'll consider Autumn Hills Alzheimer's Special Care Center for your short-term assisted living needs. Just a few miles from Indiana University Hospital and with a nursing staff and visiting physicians, Autumn Hills Alzheimer's Special Care Center is the perfect place to aid in your recovery and healing. Our caring staff can help with the routine chores of daily life that become much more difficult while recovering from an injury. Activities like bathing, dressing and cooking meals are all taken care of for you while at Autumn Hills Alzheimer's Special Care Center. Relax by the fire and cheer on your favorite sports team with friends in our main living area or catch our complimentary shuttle to grab a bite to eat or do some shopping. When you're a respite care member of our community you have access to all of the entertainment, features, and benefits our community offers. Respite care residents can choose from private, fully-furnished rooms or semi-private rooms for those seniors looking for a more social and affordable experience. 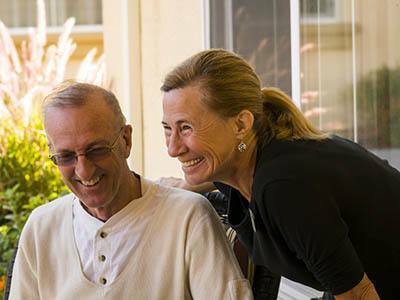 Let Autumn Hills Alzheimer's Special Care Center make your recovery and rehabilitation easier and more restful than you ever thought possible.